Kyurem is a gray and blue colored, bipedal Pokémon of indefinable but seemingly draconic basis. Kyurem has a unique blue head and snout and has yellow eyes without pupils, has a pair of pointed light bluish horns on its head and a yellow crest on its skull. Kyurem's neck is long and gray in color with lines running around its whole body, legs, arms and tail. Kyurem has two arms, each with its own claw and each arm is jointed together from its blue oddly shaped wings. Its wings are believed to be used for flying as well as storing cold air and have two spikes of ice each. The ice covering the wings is breakable, revealing gray tendril-like appendages on Kyurem's back. The right side of its body seems to be damaged in some way, as the wing and horn on its head on that side are shorter; the right side of its head also has a spiked edge near its jaw hinge that is absent from its left. Its legs are somewhat slender, unlike Reshiram or Zekrom, and has three sharp ice-like claws on each enormous foot. Its tail has three blue icicle-shaped spikes on its tip. Like its fellow Tao trio members, its tail appears to be some sort of propulsion device or a container of energy; exactly what it is based on is unclear, but it may be a damaged turbine.Kyurem has two alternate forms, Black Kyurem and White Kyurem, which are formed by combining with Zekrom and Reshiram, respectively, and share many aspects of their designs with them. Their legs are just like Normal Kyurem's legs, but shorter and the middle toe is now ice; White Kyurem has some extra icy details on the legs. Their tails are just like Reshiram's and Zekrom's tails but they are attached to the body with three gray parts of skin. The tails seem to be fully able to move and contain four holes: they are vertical on Black Kyurem and horizontal on White Kyurem's silver rings. Their torsos are similar, but Black Kyurem's torso is more bulky than White Kyurem's torso, which is slim. Their shoulders are covered in 'squares' of ice with two pins protruding from each which can come out and 'plug in' the aforementioned holes. 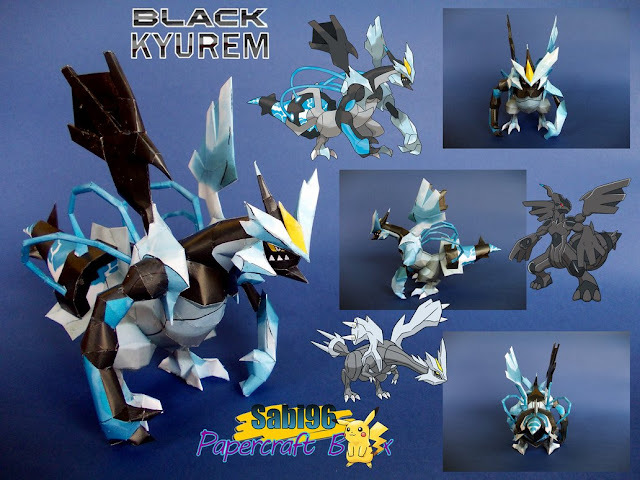 Their arms are quite different: Black Kyurem has Zekrom's arms, but more muscular and without wings, which are attached to the icy shoulders mentioned before, and its left arm and wing are frozen; White Kyurem has thin arms with two rings and three claws each, wings between the rings on its forearms, and its right arm and wing are frozen. Their necks are the same shape, and are long like Normal Kyurem's but now upright; Black Kyurem uses Zekrom's skin and White Kyurem uses Reshiram's fur. 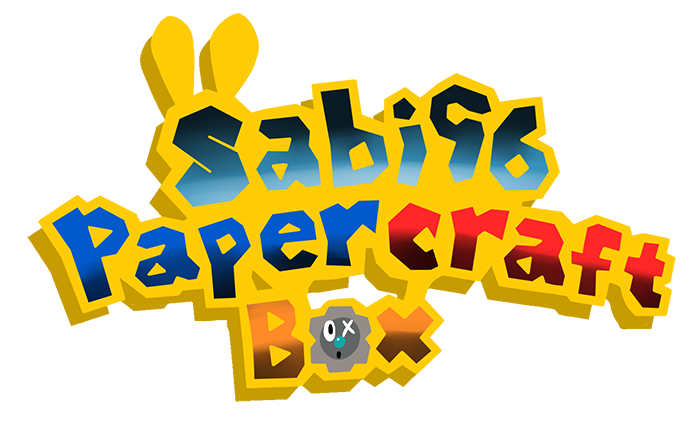 Hi, thx a lot for this beautiful papercraft. I would like to craft it for my son but i want a bigger size. Is it possible for you to give me the password of the pdo file so i can make it bigger, or can you send me a pdo file with a height of 50cm ? Thx again for your awsome work. When will you make White Kyurem?